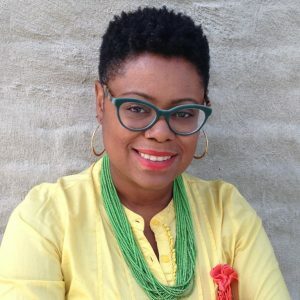 The St. Louis Public Library presents the fall 2018 Read it Forward with Ibi Zoboi featuring her novel “American Street.” “American Street” is about a Haitian teen named Fabiola who immigrates to America with her mother—but her mother gets detained in New York and Fabiola has to continue on to Detroit without her. This book tells a raw and authentic story of a young immigrant girl navigating her way through a new and unfamiliar world. Not only does Fabiola have to adjust to a new country, new school, new friends, and life with family she hardly knows, but Fabiola also is also constantly worried about her mother. When presented with a dangerous proposition that could free her mother, Fabiola must decide if the American dream is worth the risk. Author Ibi Zoboi drew on personal experience in the writing of this novel. Having immigrated to New York City from Haiti at the age of four, Zoboi grew up in a world very different from the one she was born in. In an interview for Kreyolicious.com, Zoboi says that she stuck out from her peers, even from other Haitians who seemed to assimilate faster than she did. She mentions that when she transferred schools in fifth grade, teachers placed her in an ESL class because of her name and how she dressed. After a trip visiting Haiti when she was eight years old, she was detained for three months. She says her mother “worked tirelessly to get [her] back” (Book Page). These experiences are the reason that the story of “American Street” rings true. Ibi Zoboi holds an MFA in Writing for Children & Young Adults from Vermont College of Fine Arts. Her writing has been published in The New York Times Book Review, the Horn Book Magazine, and The Rumpus, among others. Her debut novel, “American Street”, was published by Balzer + Bray, an imprint of HarperCollins Publishers and has received five starred reviews. Her next YA novel, “Pride”, was published in September 2018. Her middle grade debut, “My Life as an Ice Cream Sandwich” is forthcoming from Dutton/Penguin Books. She lives in Brooklyn with her husband, and their three young children. You can find her online at www.ibizoboi.net. The St. Louis Public Library’s Read It Forward program promotes literacy and offers teens an opportunity to grow their personal library and meet an amazing author. Free copies of “American Street” are available for teens and adults at any St. Louis Public Library location, while supplies last. Ibi Zoboi will be presenting at Central Library (1301 Olive Street) on November 7th from 7:00-8:00 pm. Enjoy the book, meet the author, and Read It Forward by sharing the experience with others. "Mixing gritty street life with the tenderness of first love, Haitian Vodou, and family bonds, the book is at once chilling, evocative, and reaffirming." "A breathtaking story about contemporary America that will serve as a mirror for some and window for others, and it will stay with anyone who reads it." 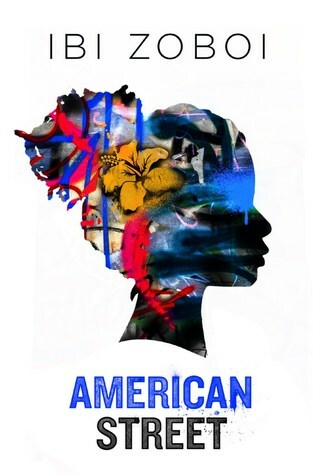 "Brimming with culture, magic, warmth, and unabashed rawness"
-Jason Reynolds, award-winning coauthor of "All American Boys"
"Filling her pages with magic, humanity, tragedy, and hope, Zoboi builds up, takes apart, and then rebuilds an unforgettable story."